This contest started on 11/10/17. This contest has a winner. 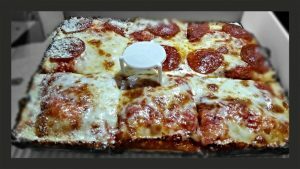 * Win A $20 Jet’s Pizza Gift Card! Love their pizza. Pick me! What a beautiful blog post. And it would make my day if I could have a gift card to Jets pizza. I saw a rainbow in the sky and a believe a $20 gift card would be even better. Who do birds sing? I’ll sing for a gift card. When is the contest? It’s a beautiful day in Boca Raton. I am out for my daily walk, I don’t see any golfers or hear birds chirping. I just want my Jets pizza gift card!!! Love the blog and these various contests are a blast.